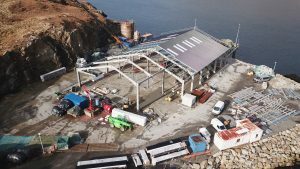 AJ Engineering has recently completed a job which it “landed” for a client based on the Western Isles. 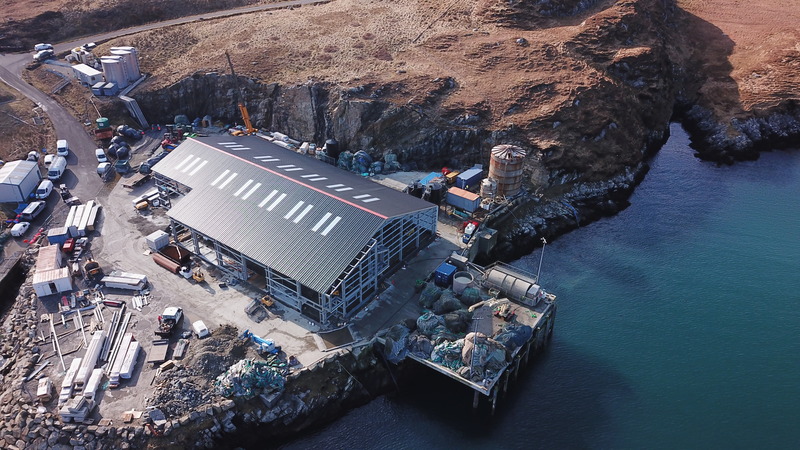 The AJ Eng team were tasked with designing, fabricating and installing a building for Net Services Scotland based on the Isle of Scalpay. 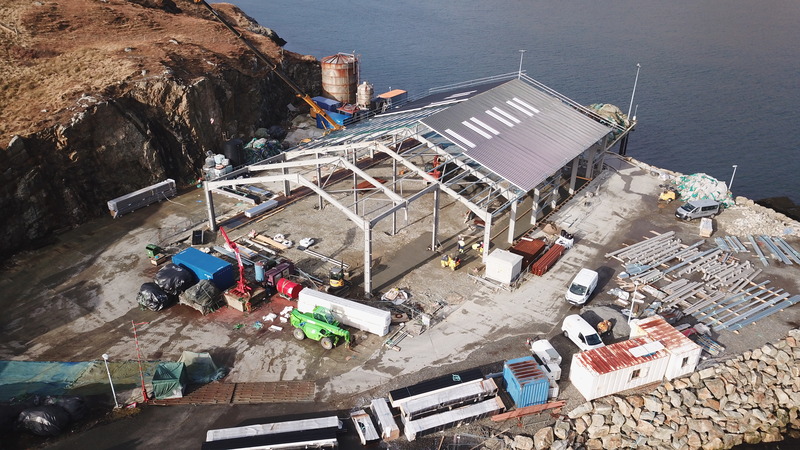 The 50m long building will be used to wash, dry and maintain nets used in the fish farming industry. Employees spent three months on site but as project manager Andrew Morrison explained the job did come with some challenges. He said: “The biggest challenge was that there was very tight timescale to design and fabricate the building before site works started, but we did it and we are delighted with the result. The 6-man team were on site for three months and subcontractors were used to install the roller doors and windows in the office area of the building. The building was featured on the front of the spring edition of Steel Door News magazine.